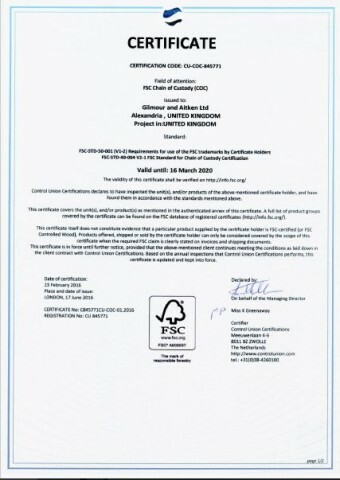 Control Union Certifications has certified many companies around the globe against a range of schemes including FSC®, PEFCTM, TLV, SBP and others. 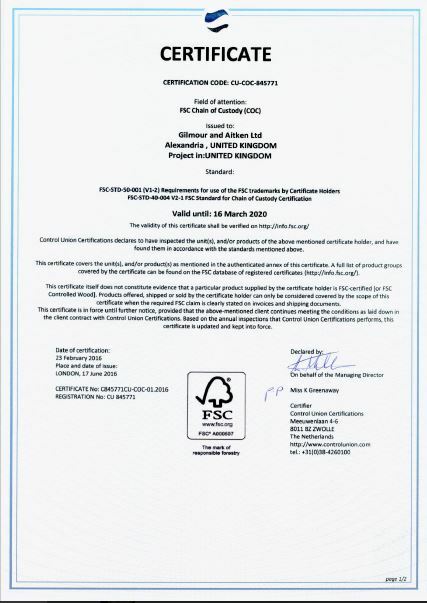 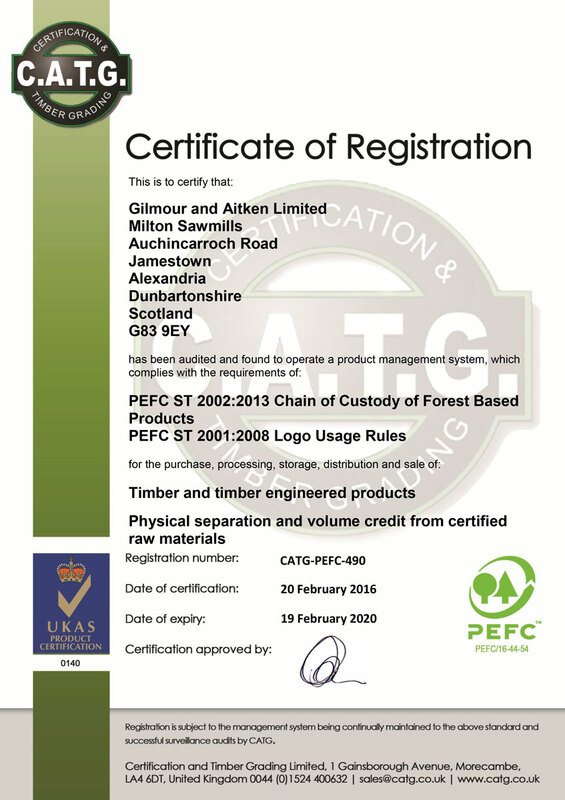 Gilmour & Aitken Ltd is certified for FSC® and PEFCTM and there is a detailed annual audit on our site to ensure compliance. 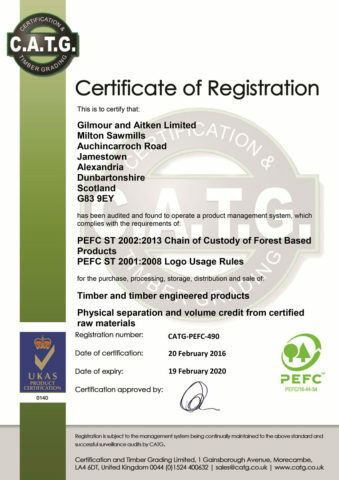 Click on the image below to see a full version of our certificate.